No one wants to deal with insurance companies. Considered a necessary evil, while individuals realize they need insurance, and, in some cases, are required to have insurance, these same individuals also have come to loathe dealings with insurance companies, primarily because, at least perceptively, insurance companies seem quick to deny every claim made on an individual’s insurance policy. This perception is frustrating because, when purchasing an insurance policy, the insurance agent almost always fashions himself/herself as a friend of the purchaser, when, in reality, a policyholder is a source of income for the insurance company. Nevertheless, when disputes do occur, retaining the services of an attorney experienced in insurance disputes can be crucial to successfully getting a claim paid. When disputes occur, rather than taking an insurance company to court, Florida law provides for an informal alternate dispute resolution program for certain types of insurance claims. A discussion of these alternate dispute resolution programs, as well as some benefits and disadvantages of the programs, will follow below. Looking at specifics, Florida law provides individuals with an avenue to dispute an insurance company’s decision on a claim, without having to undertake the time and expense of a drawn out lawsuit. 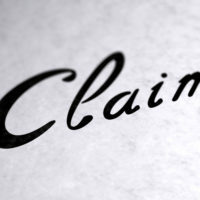 Thus, if an insurance company maintains a position regarding a policyholder’s claim which he/she finds unsatisfactory, Florida provides for a mediation process to settle the dispute. Generally, this mediation procedure allows the policyholder to meet, face-to-face, with the insurance company in the presence of a neutral third-party mediator, licensed by the Department of Financial Services (DFS), to try and resolve each party’s differences. The mediator, sometimes called a neutral, acts to encourage and assist in the resolution of the dispute without dictating the outcome. It should be noted that the decision by the mediator is not binding on either party, which means that neither the policyholder nor the insurance company is legally obligated to accept the outcome of the mediation. However, the expenditure of time and energy by both parties may encourage them to accept the result. One advantage of mediation is that it is completely confidential. In other words, once the mediation concludes, and regardless of whether the result is accepted, neither party can comment about specifics of what occurred during the mediation. This confidentiality runs to the purpose of mediation, which is to allow the parties to speak freely and, potentially, develop a creative solution to the standoff, without fear of reprisal, should a lawsuit come to fruition. Further, in Florida, this mediation process is free to the policyholder. The insurance company is legally required to bear all costs. Another advantage is that mediation affords the policyholder the opportunity to present all the reasons why the settlement amount offered was significantly undervalued, as opposed to during the claims process, which requires only specific types of evidence. Rather, the mediation process allows the policyholder to present estimates, invoices, and other documentation to refute the insurance company’s decision. However, some disadvantages are present, making it more crucial to involve an attorney. More often than not, the insurance company representative will attempt to drive a hard bargain, essentially hoping to have the policyholder agree to a substantial portion of the insurance company’s position, perhaps by offering a very minimal settlement amount. Additionally, the insurance company can present its position in the most intimidating way possible, attempting to pressure the policyholder to take the minimal settlement amount. Again, this is why it becomes crucial to engage the services of an experienced attorney. If you have recently attempted to file a claim with your insurance company, and are unsatisfied with the result, contact the experienced insurance dispute attorneys at Pita Weber Del Prado as soon as possible. Our skill in dealing with insurance companies is vast and thorough, and we will be able to analyze almost every situation. If, after hearing the circumstances of your particular case, we believe the insurance company acted inappropriately, we will develop a strategy for you to receive the compensation you deserve. Contact our Miami office today for an initial consultation.